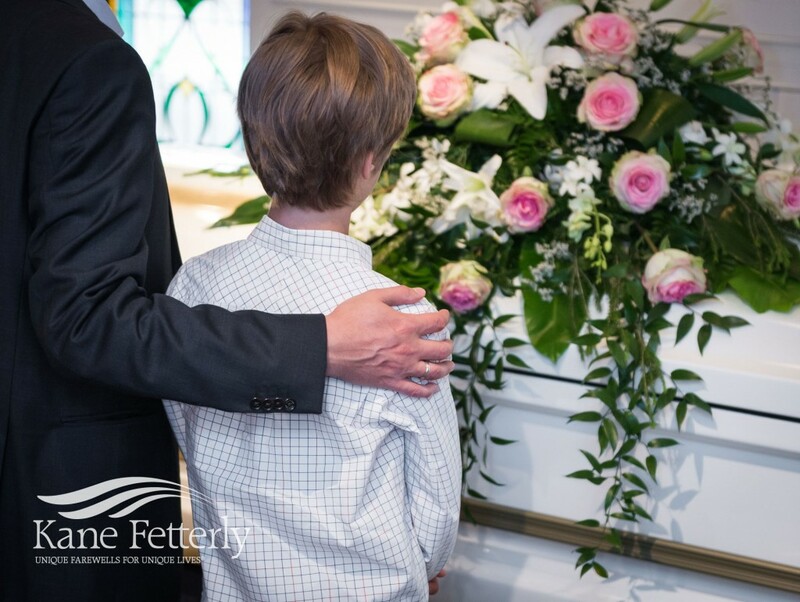 ﻿ Children and funerals: 4 things you can do to help a child griever. As I read the plethora of resources relating to children and grief, one aspect becomes quite clear: it’s imperative that children have a place, space and way to grieve. As a clinical social worker who specializes in grief & loss and the Clinical Director of Camp Erin® Montreal (a free, weekend-long camp for bereaved children aged 6-17), I interact with bereaved families who struggle with how to best honour their loved one. This struggle becomes even more confusing when raised in a culture or religion that dictates a ‘blueprint’ for grieving that can include funerals and cemeteries which are regarded as no place for children. While rites and rituals are often extremely helpful to mourners, these rituals often do not specifically include children, who, in turn, become ‘forgotten grievers.’ In an effort to protect children from facing sadness or adversity, they often get pushed aside and dismissed. The tendency, though intended to inoculate the child-griever from pain, is highly unhealthy as it encourages hiding one’s feelings rather than expressing them and, ultimately serves only to usurp a child’s right to mourn. In an effort to protect a child-griever from adversity or sadness, parents often don’t share the whole story or even the true story of the death. I strongly advocate using the correct words to describe the circumstances of the death rather than euphemisms. Remember, however, that you don’t have to go into TOO much detail; the goal is to provide truthful information, not to shock or scare. Talk less, listen more. Rather than supplying a lot of information at once, let child-grievers lead the conversation by asking questions. If you don’t have an answer to a question, be honest and say, “That is a good question I don’t know, I’ll have to ask a professional that” then MAKE SURE you follow up. Ultimately, grief is not an easy process. Parents should not be afraid to “ask for help” from a mental health professional if they find themselves stuck. Everyone has the right to grieve in the way that they so need. Let’s ensure that we create a space for this to take place. 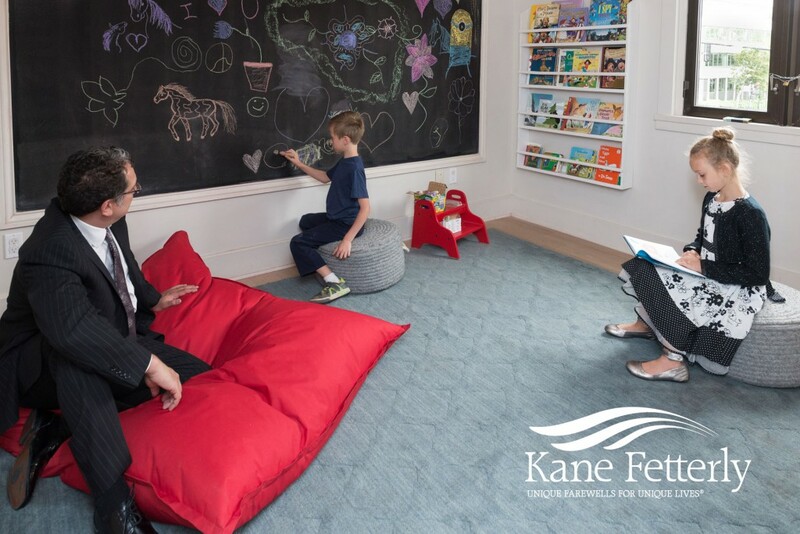 At Kane & Fetterly a children's play area is available. While you are sharing the memories of your loved one with other adults your children can be entertaining themselves with toys, movies, and books.